Steve Trevor investigates a report that a school of mermaids have downed a ship, and he ends up being captured by them. 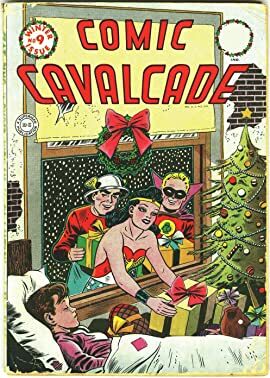 Meanwhile, Wonder Woman and the Holliday Girls are also kidnapped when they try to rescue him, but they escape to collar a former female swimming champion who had disguised herself as King Neptune as a cover for her piracy operations. 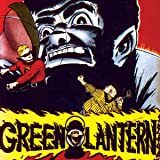 During a pre-Christmas radio program, racial and religious persecution raises its ugly head, prompting Alan Scott to use a life-and-death situation involving Doiby as an example of what America really stands for. Diana and Steve head out by car to the New England coast at General Darnell's request to keep an eye out for spies and saboteurs. The disappearance of a young boy named Tommy then leads Diana to try and locate him, and she discovers a group of fifth columnists who are connected to the Nazis that are to come ashore as invaders. 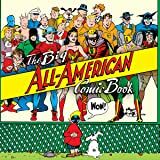 A Golden Age compilation featuring all of the World's Greatest Super Heroes -- from a Wonder Woman story by William Moulton Marston, to an early Green Lantern adventure -- this collection is sure to invoke nostalgia and thrill! 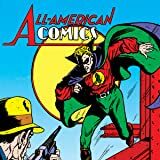 An anthology series featuring reprints of classic newspaper strips and introductions to some of the DC Universe's greatest heroes! 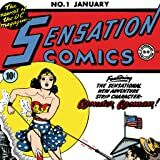 The original adventures of Wonder Woman, the Amazon Princess! 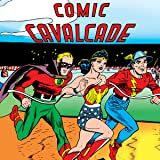 These classic stories--written by Wonder Woman creator William Moulton Marston--feature the first appearance and use of many of the identifiable elements of the character, including her longtime sidekick Etta Candy and her magic lasso!